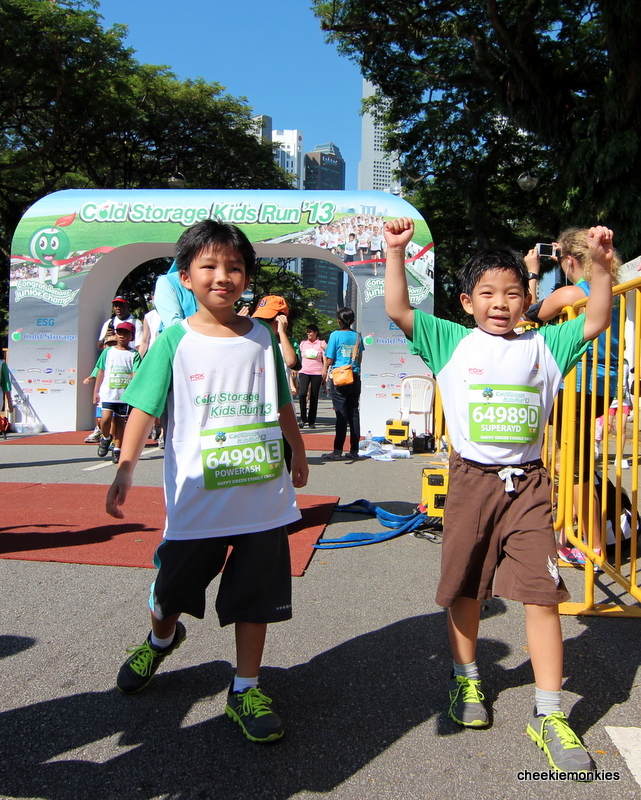 Cold Storage Kids Run 2015 is Back! If there is one run that my monkies never fail to participate every year, it would have to be the Cold Storage Kids Run. In fact, did you know that Ash holds the honour in the family of being the only one who has been running in every single race since its inception in 2008? 2009 - the year when Ayd joined in. 2012 - the year Ale participated, albeit in the comfort of her stroller! So as you can probably predict, we will be there when the Cold Storage Kids Run returns for its eighth edition and flags off at The Meadow, Gardens by the Bay come 17 May 2015. 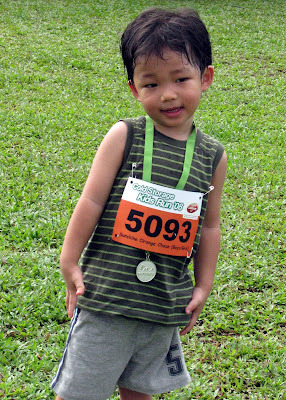 And this time, the monkies are proud to be its Kids Run Ambassadors as well! So all their running has not gone to waste then. Heh. Kids from six months to 12 years old can register in a range of 13 categories, consisting of competitive (Sprint) and non-competitive (Family Fun) races ranging from 800m to 1.6km. This year’s Cold Storage Kids Run also features the 3Gen Family Fun Run category to promote inter-generation fitness and bonding. In this non-competitive category, kids aged four to 12 yeas old can team up with one parent and one grandparent to walk or run a distance of 800m. The Run shifted to The Meadow at Gardens by the Bay last year, which remains the same location for this year's edition. But one notable tweak that the organisers made this year is the reduction of participants from 6,000 to 5,000. I think this definitely ensures a much smoother race experience, coupled with an improved running route design. The width at hot spots is now doubled and other parts of the route have been changed to ease the flow of runners. Okay I know what you are thinking - I can easily replicate the run with a jog around my estate and spare myself of all the waiting time spent on the races. But it just would not be the same, no? There is just something intangible and special in seeing your kids complete a 800m or 1.6km race on their own, collecting their prized medals and declaring that they will be back again next year. Of course, a family carnival with specially designed activities that will allow children to explore sports in interesting and different ways will not hurt either! Registration for the Cold Storage Kids Runwill be open till 16 April 2015, or when the race capacity of 5,000 is reached. Sign up before 9 April 2015, and be eligible for Early Bird registration rates! Visit HERE for the fees and to sign up. Normal registration rates kick in from 10-16 April 2015. So what are you waiting for? Register soon and we will see you at the Kids Run on 17 May 2015! To further encourage families to stay active together in the lead-up to Cold Storage Kids Run 2015, two types of fitness clinics are being offered. Learn proper postures & techniques, as well as some fun exercises that you and your kid can work out together! Training professionals will coach parents and children on proper running postures and techniques to avoid injury while having fun. This class is aimed to get children exercising with confidence. A functional fitness programme, DynaKids participants will get to use agility ladders and jump ropes along with body weight and resistance training. Visit www.kidsrun.com.sg/fun-camps for more details. Registration Period: Now until 16 April 2015 or when the race capacity of 5,000 is reached, whichever is earlier. 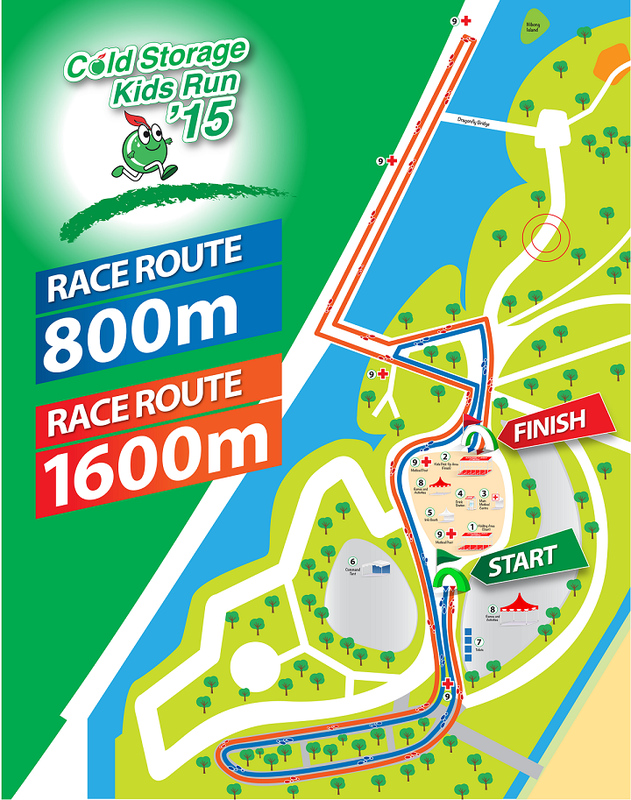 Register online via www.kidsrun.com.sg.